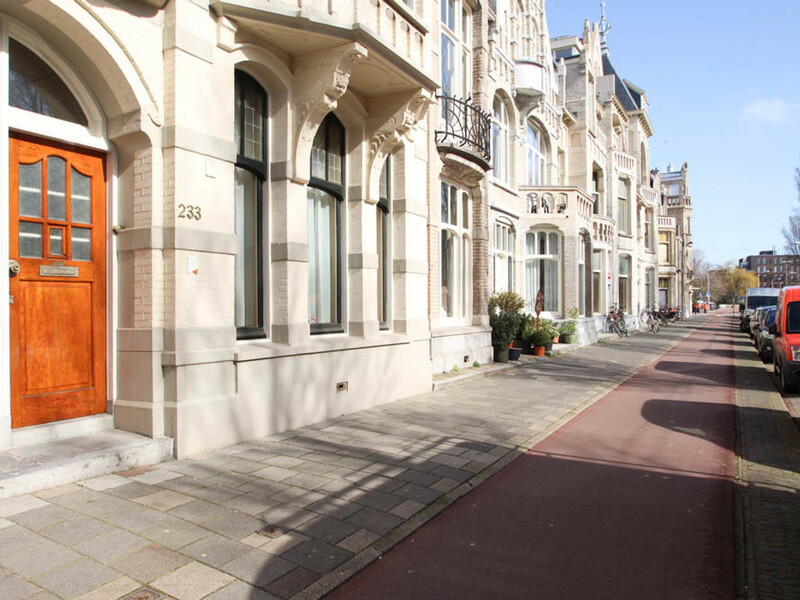 A LOVELY 1 BEDROOM GROUND FLOOR APARTMENT WITH A LOVELY GARDEN, LOCATED VERY CENTRAL, JUST MINUTES AWAY FROM: SHOPS, RESTAURANTS AND THE HEART OF THE CITY, NEAR THE PEACE PALACE, EUROPOL AND OTHER INTERNATIONAL ORGANISATIONS. THIS APARTEMENT IS PERFECT FOR A COUPLE OR A BACHELOR. WOODEN FLOORS THROUGHOUT THE APARTEMENT. Layout: entrance apartment, long hall; bathroom with shower, toilet, washbasin and radiator towel rack; cellar (4.51x2.190); fully equipped kitchen with new oven, large stove, fridge/ freezer and dishwasher, access to a lovely good sized garden (8.82x6.63); large living/ dining room (9.05x3.63) with French doors to the back garden; very large bedroom at the front side (6.11x4.13) with built in wardrobes. Don’t miss this unique large ground floor apartment with wooden floorings.